President Cyril Ramaphosa rolled up his sleeves and put in some work as he took part in the Good Green Deeds campaign he launched on Friday. He paid a visit to the Highway Taxi Rank in Mdantsane in the Eastern Cape and assisted by cleaning up the area. He also planted a tree at Eco Park behind the taxi rank. President Ramphosa continued his city wide launch programme in Buffalo City. This was en-route to the Sisa Dukashe stadium in Mdantsane. That’s where he launched the Green Deeds programme. The President started off at the beach on Friday morning in East London. The program is aimed at encouraging South Africans to be environmentally conscious. It also puts the focus on sustainable waste management practices such as recycling. 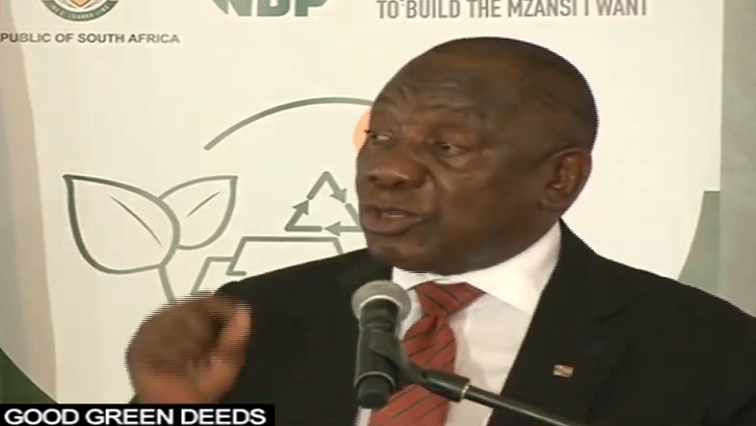 The post Ramaphosa visits Highway Taxi Rank in Mdantsane appeared first on SABC News – Breaking news, special reports, world, business, sport coverage of all South African current events. Africa's news leader.. PREVIOUS POST Previous post: Should David Miller be the Proteas back-up wicket-keeper?